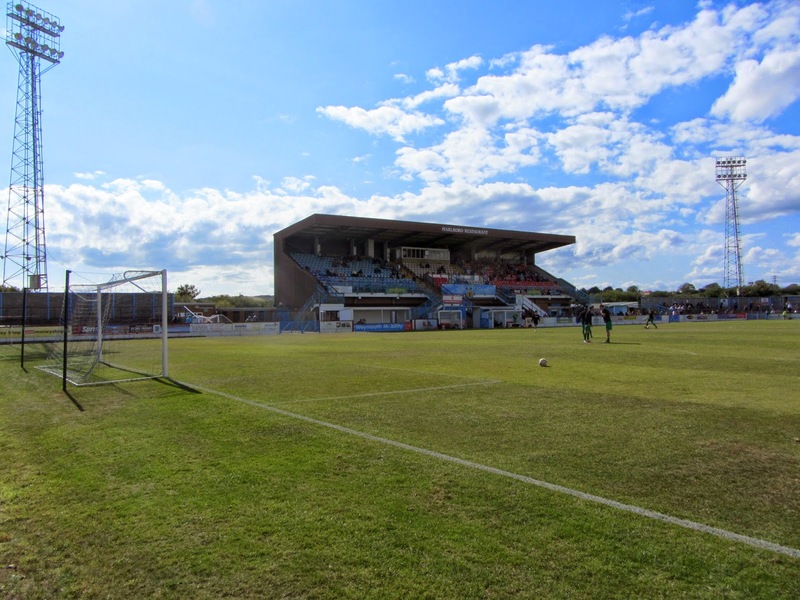 My eighteenth stadium of 2014 was on Saturday 23rd August at Wessex Stadium in Weymouth, Dorset. 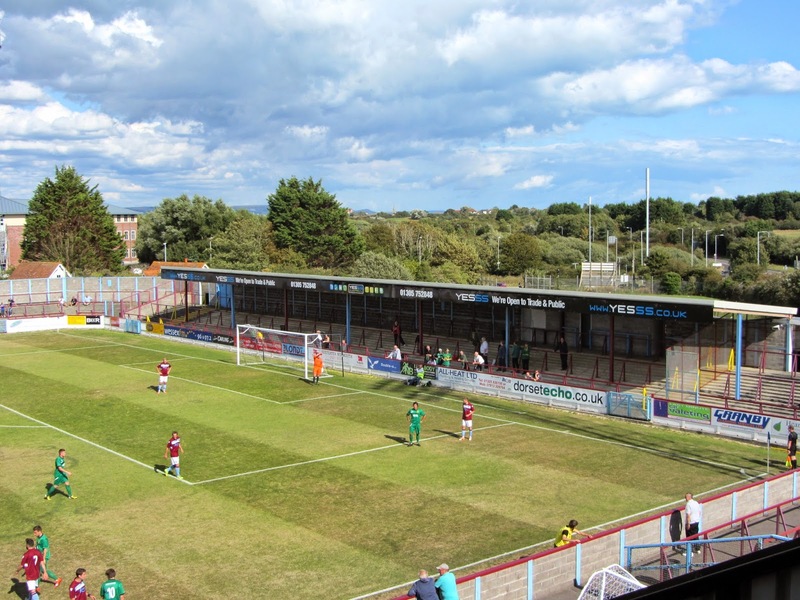 The match was Weymouth vs. Hitchin Town in the Southern League Premier Division. The Wessex Stadium, known as the Bob Lucas Stadium since 2010, is on the edge of the town in between a golf course and a police station. 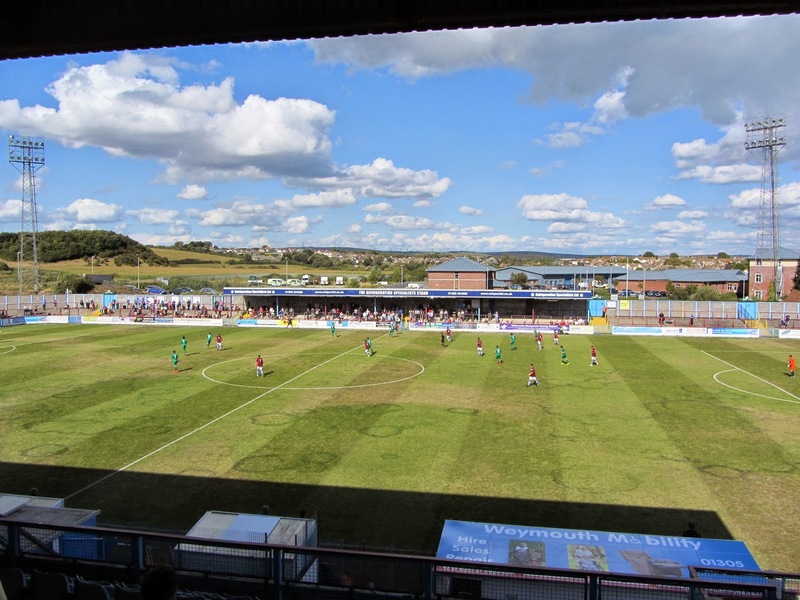 The ground is just under 2 miles north-west of Weymouth railway station and has been the club's base since 1987 when they left the Recreation Ground which they had inhabited for the previous century. The Main Stand is positioned on the western side of the ground - this all-seater structure has room for 900 fans and as it is raised well above pitch level offers good views of the game. The seating within the stand is split into three sections with the directors area located in the middle of these. This west side of the ground also includes the players entrance and a club shop. The rest of the ground is taken up by concrete terracing with metal barriers - the terracing forms a bowl which takes up the north, east and southern side of the ground and runs up towards the Main Stand on the western side. The terracing is a mixture of covered and uncovered with the areas behind the two goals and around half of the eastern side of the ground under a roof. The covered area on the eastern side also includes a food outlet at the back of it. Weymouth raised out of the traps and grabbed the lead with only a couple of minutes on the clock. There was panic in the Hitchin defence as they tried to clear an early corner and when the ball fell to Adam Kelly inside the box he smashed the ball into the top corner. The home side played some attractive football in the opening half but despite having Hitchin penned in they did not extend their lead and were punished for this just before half-time. In the 42nd minute Hitchin punted a free-kick into Weymouth territory - Brett Donnelly nodded the ball on to Matt Lench who chested the ball down before striking through the goalkeeper to send the sides in level at the break. Hitchin put in a much better effort in the second period though they narrowly avoided going behind again in the 65th minute when a Weymouth effort struck the angle of post and bar and was scrambled away. In the 74th minute the hosts gave the ball away to Matt Lench in midfield - Lench was able to ride one tackle and as several defenders congregated around him was able to lay the ball off to the open Donnelly. The striker had time to compose himself before drilling the ball into the bottom corner of the net. 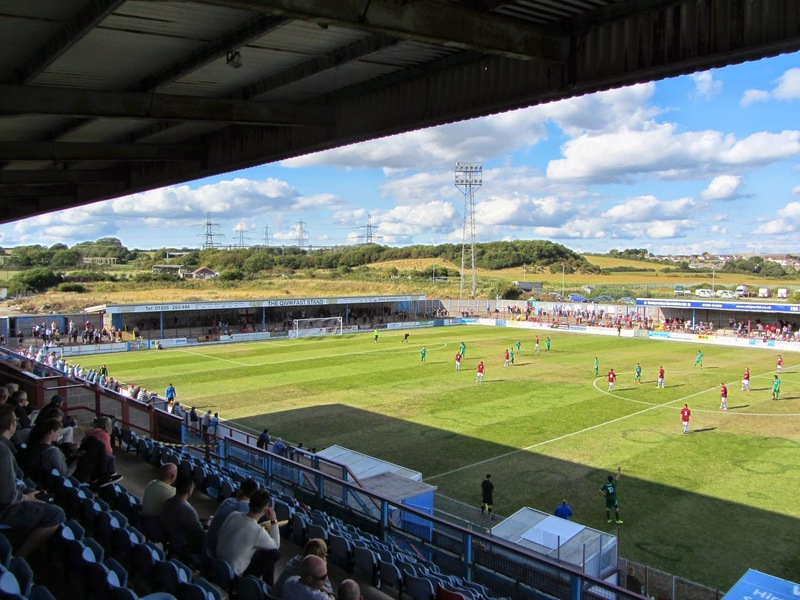 Just as it looked like the home side were heading for defeat they lobbed a long ball into the box and when the ball fell to Stewart Yetton he was able to score from close range to grab a point for Weymouth.